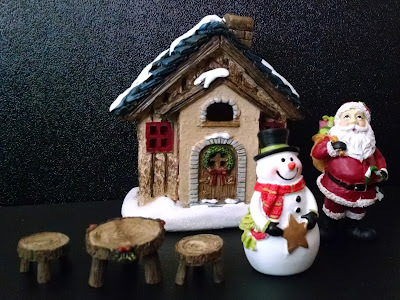 Are mini gardens really popular enough to justify the mass production of these holiday-themed decorations? The presence of these in the Michaels's clearance section last year suggests the answer is no. But they're weird. And fascinating. And useful to toy collectors. And, most importantly, Christmas. So I picked them up. This is two sets, incidentally: I stacked one on top of the other in the above photograph. The backs contain detailed information about the product, the company that produces it, and other items they make. Aside from one having "5 pc" stamped on the top sticker and the UPC, there's no difference in the label - not even a unique name for the different sets. The first set contains six items: Santa, a snowman, a cabin, a table, and two stools. I like the pieces well enough, though the collection seems somewhat arbitrary. Why are we getting chairs and a table with figures who can't sit in them? If the set's meant to represent the outside of a house, why include furniture intended for the interior? Likewise, it's worth noting the house doesn't remotely scale to anything else. It feels like a jumble of parts more than a unified display. Not that I have an issue with that - I just wanted the pieces, anyway. 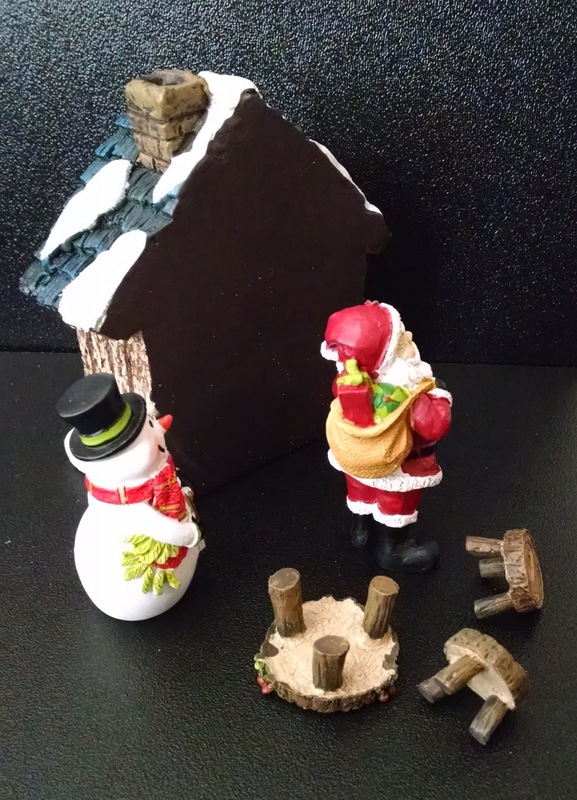 Santa and the snowman are nice, though the furniture is the most impressive part of this. These look extremely realistic and detailed. The house is pretty cool, too, though I wish they'd skipped the glitter. The fake snow is coated in the stuff, which means I am, too. Glitter is never worth it. 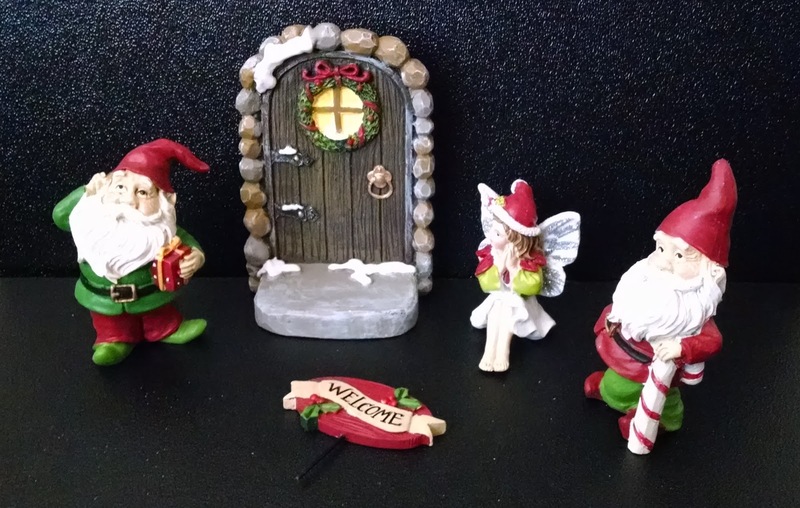 The other set contains a pair of Christmas gnomes, a fairy, a door, and a welcome sign. Between the two sets, this is the one I really wanted, on account of the gnomes. Nothing against a miniature Santa, but... come on. 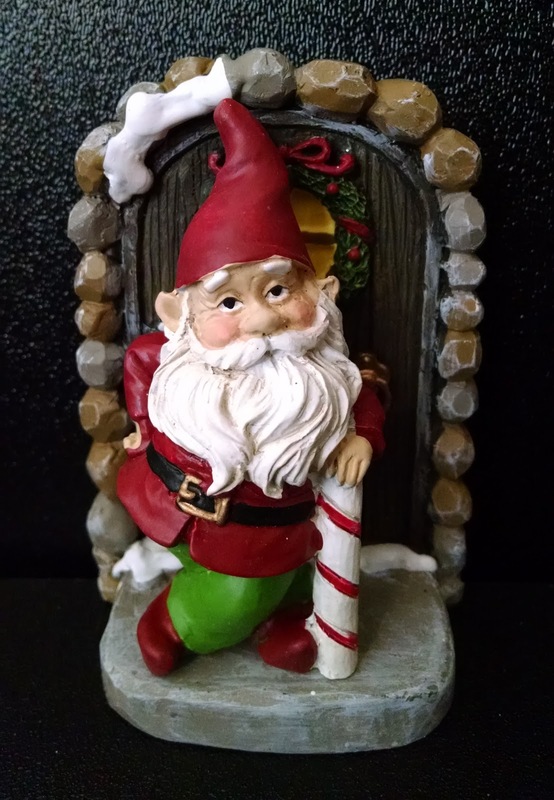 GNOMES. DRESSED LIKE CHRISTMAS ELVES. The one leaning on the candy cane is my favorite. I love the concept here. The fairy is held back by an even more egregious use of glitter than the house. Her wings are practically coated in the stuff. The door is nice, though it's worth noting it's one-sided. 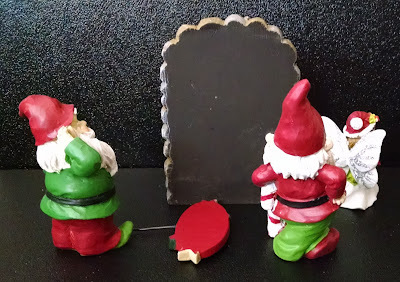 Flip it over, and you're staring at a slate. Same goes for the house from the other set, actually. These are ceramic, in case that's not clear in the pictures. All are painted well, given the scale. 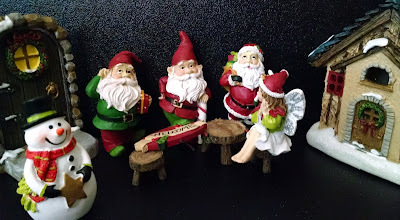 The figures are about 2.5 to 3 inches tall (the seated fairy's a little shorter, and the pointed hat of the gnome with the candy cane is about 3.25). The house comes in at about 4.5 inches tall. These are relatively versatile, as long as you're careful not to break them or scrape off the paint. 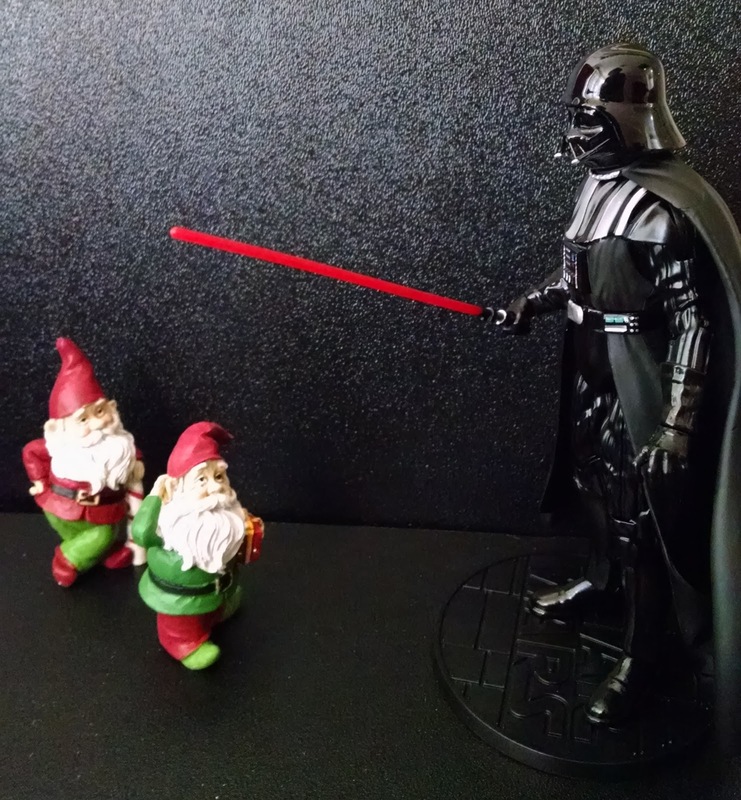 The gnomes scale well with most action figures (depending on just how tall you want them to seem). Beside 6 or 7 inch figures, they're about the size you'd expect a garden gnome to be. The table, chairs, and even door could serve as tongue-in-cheek additions to gaming miniatures, if you're so inclined. As far as low-end miniatures go, these are pretty decent. They started out $25 each. 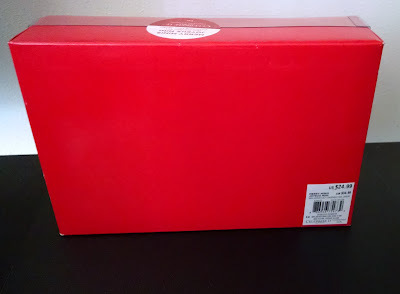 If memory serves, I picked them up at 70% off, which is still a little more than I'd have ideally wanted to pay. 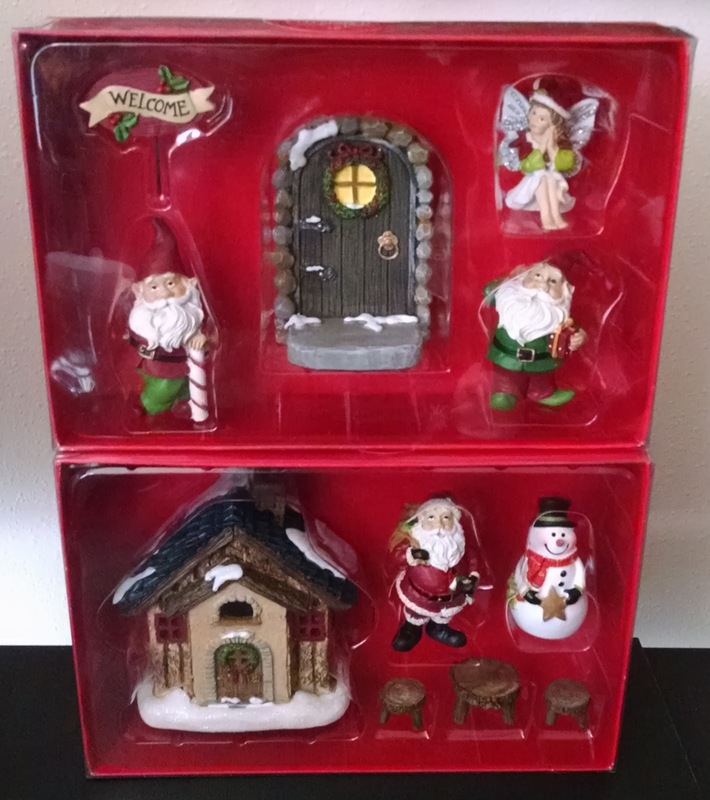 Still, they're a fun addition to the Christmas vault, and I expect I'll get some use out of them over the years.